/UCW/ BOSTON, MA – Mr. Jeremy Schmidt, the co-founder of Craft Beer Lovers of Boston a brewery, distillery and winery tour company, is very thrilled to announce the launch of a tour company founded by like-minded entrepreneurs and amazing craft beer lovers based in Boston Massachusetts. Craft Beer Lovers of Boston was established with the primary objective of providing the most “prodigious” experience to its customers by delivery of fascinating, amazing and world class brewery tour experiences to its customers. The brewery tour is focused on the ultimate vision of exceeding the entertainment expectations of its customers, with unparalleled service, exemplary attention to details and seamless tour program execution. The all-inclusive Boston brewery, distillery and winery tours were designed to enable tourists to discover the scenery and beautiful ambiances of the several breweries in the suburbs of Boston; places that will provide them with exceptional learning experiences, enjoyment and tasting of the best beers this side of the world. The brewery tours were specifically scheduled to ensure that experienced tour guides and knowledgeable team of beer zealots take tourists to the most sought after craft beer breweries in Boston; enabling them to receive entertaining and mind blowing brewery experiences. In the bid to achieve this laudable aim, Craft Beer Lovers of Boston assembled the most amazing beer zealots with outstanding craft beer knowledge, and fun loving employees coupled with engagement in far-reaching brewery partnerships and procurement of the most luxurious transportation. Through a perfect blend of the very best in transportation services, exceptional craft beer knowledge, brewery partnerships, and experienced employees, Craft Beer Lovers of Boston has successfully offered the most incredible and wonderful world class brewery experience to its customers leading to their satisfaction, positive reviews and referrals. Mr. Jeremy Schmidt says, “Since our inception, we’ve been cruising the streets of Boston region while tasting the goodness and splendor of the area. We were built on a true passion for craft beer and the great rural lifestyle that creates the amazing drink you enjoy today. In fact, we are so proud of the work we do here that we wanted to offer you an amazing chance to experience it”. Craft Beer Lovers of Boston offers brewery, distillery and winery tours ranging from Boston’s Saturday sipping tour, to Downtown Boston Distillery Friday tour, South Boston’s Saturday tour and Friday tasting tour. The brewery tour company does not only offer a Boston brewery tour, it also offers a Maine brewery tour, Vermont brewery tour, New Hampshire brewery tour, and a Connecticut brewery tour. With the help of great brewery partnerships, the brewery tour company provides customers with a one-of-a-kind, behind the curtain brewery experience. 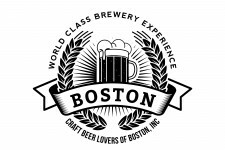 The Boston brewery tour has been voted by customers as the best brewery tour company offering the most incredible entertainment and brewery experience in the world. According to one of the pioneer tourists, “The Boston brewery, distillery and winery tour is a grand entertainment and motivating event. With its incredible services, the company has positioned itself as one of the leading brewery tour company in United States; having about 99% of its customers refer it to their friends”.